Colin Archer Yachts for Sale. 39' Modern Colin Archer “GOLLUM” for sale. "GOLLUM" for sale - Good condition, ready to sail. Beam 4.20 m, Draft 1.90 m Displacement 15 tons. Sail area 100 m2 (w Genoa). Material: GRP hull. - Deck is plywood with GRP and Teak. See more "GOLLUM" detalils here. K. Christensen & Co. at Moen, Risør, Norway in 1932. New lower price: See more “EOS” details and price here. you can get information and my prices here. and write “Colin Archer” in the search (Søk) box. Try also “seilskoyte” in the search box. Be aware of that to most countries you will have to pay your countries VAT. This also applies to all Europe as Norway is not a part of EU. If you want, I can give you advice on the boats you are interested in. I can also give advice on boats advertised outside Norway. and can judge the boats sailing abilities and condition. And contact the seller for further information and ask the right questions. And you might need translation of the Norwegian ads. All will be on commercial basis, 1 € (euro) pr minute, phone or mail. If you want survey this costs 600 euro + travel expenses 0,5 euro pr. km. I can look for boats of the size and type you want and mail you information and photos. This will be on commercial basis. 3 months or at least 5 boats costs 500,- euro. When a boat is bought, a sales fee of 15€ pr foot applies. If you want me to make contract and arrange safe payment and ownership transfer, this will be charged separately. Double-enders was the typical workboats and yachts in southern Norway a hundred years ago. Colin Archer was one of many boatbuilders of these types of boats. Colin Archer introduced ballastkeel to the double-enders which thus became superior to his competitors. Apart from that, not much differed between Colin Archer's boats and many other good boatyards. that were capable of sailing in any gale and rescue other boats. and won most races the pilots held in the summertime. Colin Archer also designed yachts and his boats were amongst the best in the races in both light air and strong winds. His yachts are of lighter displacement and much narrower than the pilotboats or rescueboats. but are referred to as Colin Archer's, especially outside Scandinavia. In Norway they are called "skøyte" or "seilskøyte". However, they can be just as good boats even not a true CA. and modified designs today can be almost equivalent to an original CA. Since the 1960/70's, there have been built many “CA's”, both in wood, grp and concrete. Unfortunately, many of the boats are not to well built or planned. Most boats, even if yard built, have been sold as bare hulls and fitted out by the owner. So be careful before you buy! 54' TUVA – Sold May 2014 See TUVA details here. 47’ Colin Archer ”Fayance” - Sold Dec. 2011. 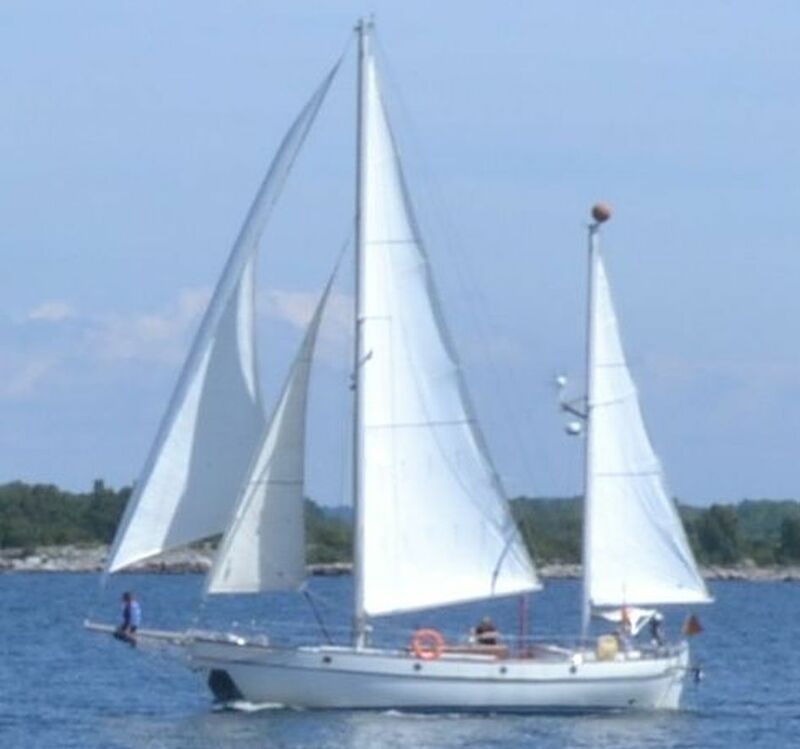 43' Colin Archer Ketch in Sweden Sold 15 oct-2002 for 2.000.000,- Swedish kr. ex vat. See info and pictures. 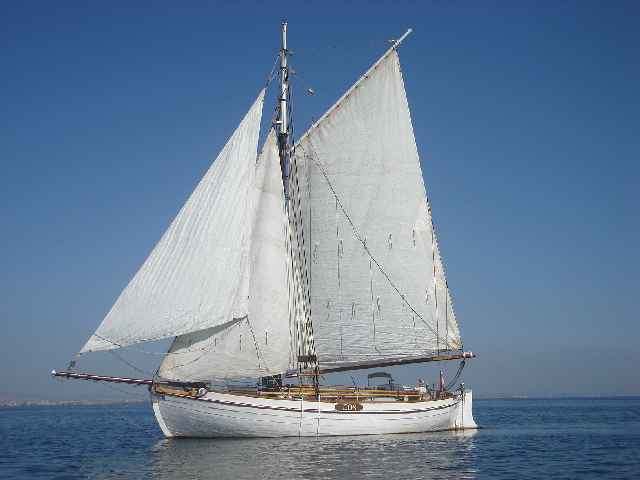 35' Colin Archer Ketch in Oslo Sold 1 oct 2002 for 500.000,-. Norw. kr. 35' Colin Archer cutter in Netherlands. Risør built 1980 to boatyards design. Sold nov 2002 for 500.000,- kr. 37' Colin Archer Cutter in Stavanger. Built in Risør1984. Good sailer with underrcut forefoot and cast iron ballastkeel. Sold for 490.000,- kr. 39’ Colin Archer EJDERN. Sold May 2006. See info. 42’ Colin Archer ODIN. Sold May 2006. See info. you can get information and prices here.